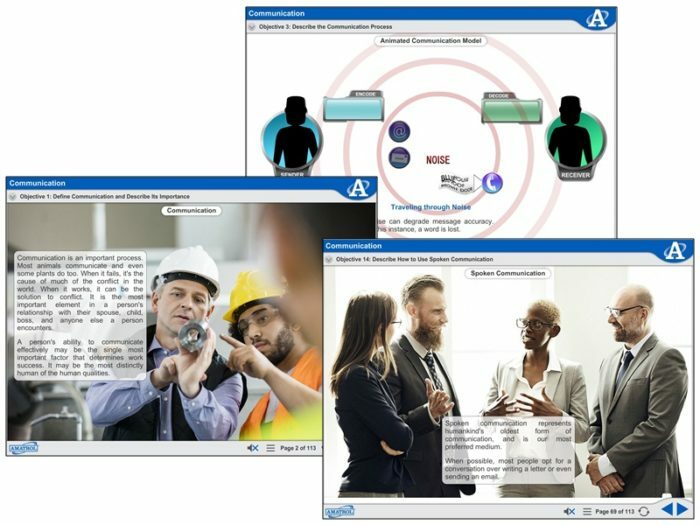 Amatrol’s Communication Skills Multimedia Courseware (MXPD101) explains the importance of effective communication, listening skills, and feedback in being able to achieve work goals. Learners practice identifying the roles of the sender and receiver and gain an understanding of the effects of encoding and decoding communication. Communication Skills identifies the barriers to effective communication and highlights appropriate types of communication to use in various situations.